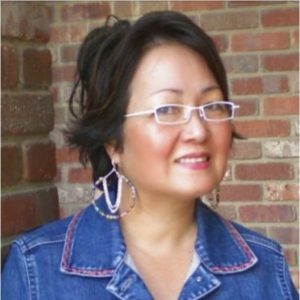 When Kayla showed me this bracelet, a few things came to my mind: beach, read white and blue, cool as ice, frosted, blue jeans……..definitely an All Season Bracelet. The bead cage findings are the perfect accent to these beads, don’t you think? I really like this! 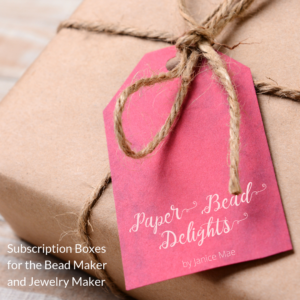 I came over from infarrantly creative blog–your paper beads are fantastic! Just found your site. I made a necklace out of paper beads ions ago when I was a teenager back in the ’70s. I still have it in it’s broken state. May have to try and make some more. Your works are beautiful!! This is my first time visiting your blog and I must say I could spend hours here. 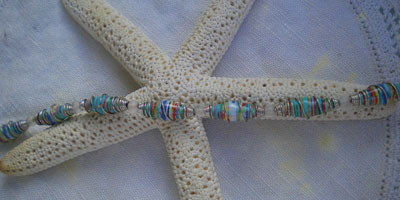 I love paper crafts and have quilled off and on for years but paper beads fascinate me like nothing else! 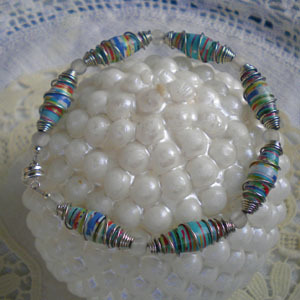 The wire wrapping is wonderful and I can hardly wait to try it once I’ve mastered paper beads! It’s very attractive and really goes with everything. I love the wire wrapping too.